The collation work (found below) is based on COMPARISON between the KJV, NIV (1984 edition), and the TNIV (2005 edition). There are times when the KJV will have two or more references to a word in a verse, and the TNIV/NIV might only remove one of these words. If you look up a word ONLY in the TNIV/NIV it will look like the collation is wrong. This is why you MUST compare the deleted or added words to the KJV. 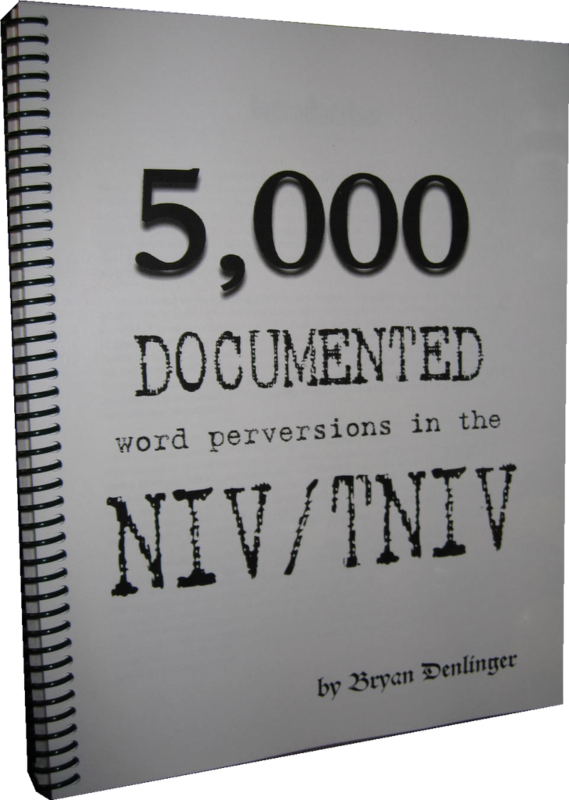 Please also note that the page numbers are wrong in the "TNIV Additions" pdf download. This does NOT affect the information. Here are the word perversions. Here are the word additions. Bible Version Issue Tract 1. Bible Version Issue Tract 2. Bible Version Issue Tract 3. Excellent 138 page Book Exposing The NIV. Independent Fundamental Baptist Catholicism. History of Baptist church buildings. Are Baptist Practices From The Bible Or The Catholic Catechism?